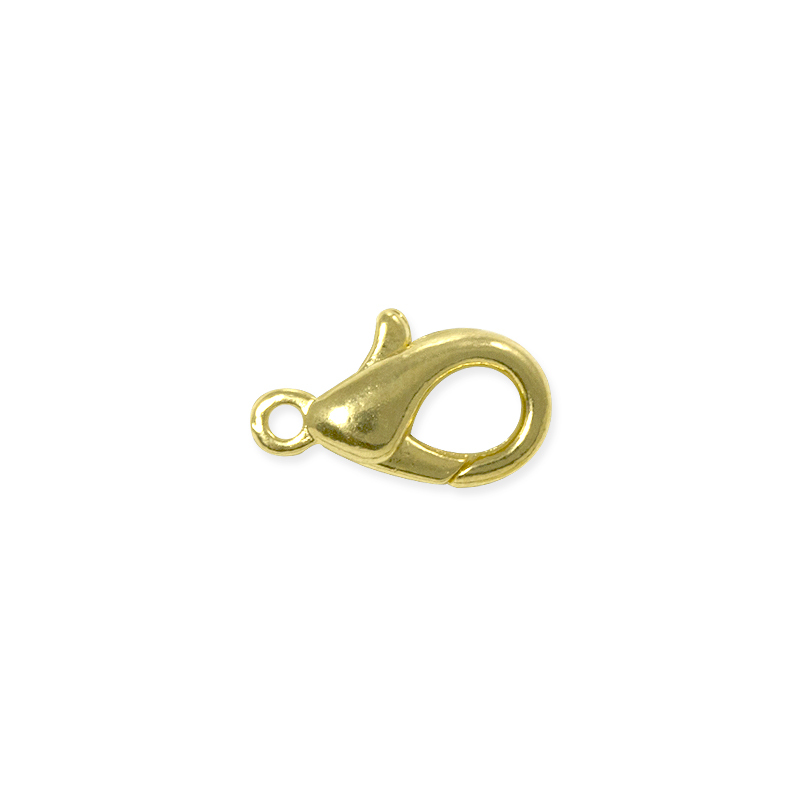 Choose our classic Gold Plated Lobster Claw Clasp for a secure hold at a budget-friendly price. Our easy open Lobster Claw Clasps feature a lever action closure which you can slip right over a jump ring or connector to finish your jewelry design. The one-way closure ensures a strong hold that won't slip open while you wear your jewelry. The tear drop shape adds an elegant, refined touch to your jewelry. The 13mm length is perfect for small jewelry like bracelets. The Gold Lobster clasp features a closed loop at the end with a 1mm hole to attach your cord or connector. Does the 13mm length include the ring or not, what is the width excluding the pin? What is the difference between Gold Plated and Gold Filled? The main difference between Gold Plated and Gold Filled is the thickness of the layer of gold on the clasp. A Gold Plated Clasp is like wrapping aluminum foil over a potato, the gold plating is a thin layer of gold over a brass core. Gold Filled is more like an avocado, with a thicker layer of gold over a smaller core. There are trade-offs in durability and price, of course. A Gold Plated clasp will be less expensive and more prone to wear, while a Gold Filled Clasp will be slightly more expensive, but the gold layer will be more durable. For the most reliable and budget friendly gold lobster clasp for DIY bracelets and necklaces, use our 13mm Gold Plated Lobster Claw Clasps.